Pueblo, 112 miles south of Denver, is a complicated railway centre. Apart from the Joint Line too and from Denver there's the former D&RGW (now UPRR) Tennessee Pass route to the west (which is currently mothballed|), the BNSF eastwards to La Junta and the BNSF south to Trinidad. 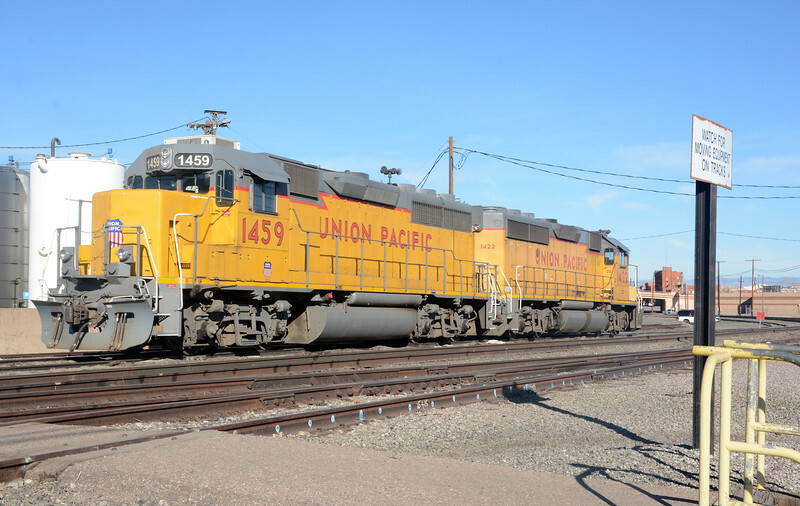 In the UPRR engine facility a pair of GP40-2s used to switch the UPRR yard and in transfer service to Rocky Mountain Steel's steelworks on the south side of town. I think that the GP40s and other road switchers of the late 60s / early 70s represent the pinnacle of EMD's locomotive design.